This entry was posted on 27th October, 2017 by . traditional solutions to another renewable form of energy: Wood Pellets! Wood Pellets are small tubular organic particles formed with compressed sawdust and other industrial by-products, such runoff waste wood would otherwise go to waste if they were not used to form wood pellets. They are composed of 100% biological materials from industrial waste which are responsibly recycled, without chemical binding agents or dangerous additives. Further benefits including enhanced work site conditions and worker health through cleaner burning fuels. This is generally accepted as a clean form of energy as trees can be easily replanted to replace the CO2 produced when burnt so long as additional wood isn’t harvested in order to produce wood pellets. Burning wood pellets also releases fewer carbon emissions than if the trees were left to decompose in forests. Our change to this form of renewable energy marks just the latest of our steps to becoming a more sustainable company and is a part of our commitment to continue towards a cleaner, greener future. We would like to invite you into our home, to get to know us a little better. For 11 years now you have known and worked with our products, which are well received all over the world. We don't have the words to express how thankful we are for that. We wanted to give you a little inside look at where those products are created and what inspires them. We have been thinking about how to do that for a while, and finally it's here, a small glimse into our home, and our surroundings. We hope you enjoy it! This entry was posted on 9th March, 2017 by . Last Saturday, November 5th malabrigo took over the Vogue Knitting Live runway in Minneapolis. We had the opportunity to show you designs from some of our books, specially our most recent one, malabrigo Book 10 – Rios, and also designs by Steven Be and Scott Rohr. For anyone who couldn’t enjoy the fashion show live with us, we made a little video, showing some highlights. 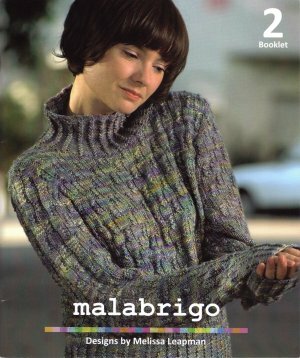 We also presented garments from our upcoming malabrigo Book 11 – Aniversario. This book will be based on designs featuring our new colourway Aniversario, created to celebrate our 10th anniversary. To read more about the patterns presented at the Fashion Show, please click on the following image, which is for the brochure we gave away at the door. This entry was posted on 28th January, 2016 . Malabrigo flock, La Serena, Uruguay. As some of you know, we have our beloved sheep flock, who live on a ranch called La Serena, near our headquarters in Montevideo. In this video we show you around beautiful Piedras de Afilar and demonstrate the process by which we shear our sheep and harvest the beautiful fleece that becomes Malabrigo yarn. We strive to use sustainable and humane farming practices with our ranch and flock � a happy sheep makes the best wool! We hope you enjoy it, as we enjoy and value sharing what is important to us with you! This entry was posted on 19th January, 2015 . This entry was posted on 14th November, 2011 . This entry was posted on 15th July, 2011 . Did you know that the Malabrigo Junkies isn't just a social group on Ravelry, but also a great resource for anyone who wants to knit in our yarns? If you are a member of Ravelry.com, you can check out (and maybe join) the Malabrigo Junkies and view their pages -- a full list of resources is available! The Junkies have pages on the following topics: - Colorway lists for many of the yarn bases, including colors that have been discontinued! - Frequently Asked Questions for everything from alternating skeins, dye lots (the lack thereof), and how to care for your finished Malabrigo garments - Information about us as a company, including information about the sheep! - Knitting suggestions for variegated colorways, as well as many pattern suggestions for single skein projects in some of the bases, and 5-skein patterns for other bases - A list of patterns designed by the Malabrigo Junkies All of these are open, free pages that don't require membership to the Junkies for you to read! So if you have a Ravelry account, check them out! This entry was posted on 3rd May, 2011 . Each submission is handled personally by our Project Coordinator, and responded to as quickly as possible! If you are submitting as a designer requesting yarn support for a project, please include a detailed description of the project, sketches and swatches if possible, and an estimate of the yarns and colorways you would need, as well as the projected timeline and release date of your project. 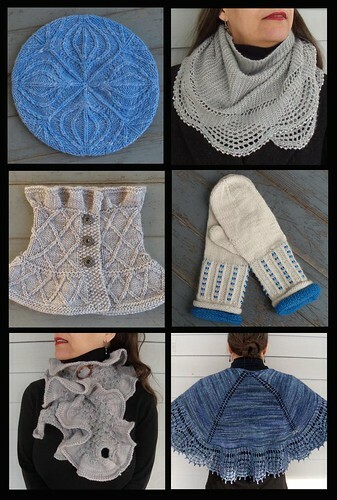 Also, all designers are welcome to submit portfolios for the upcoming Malabrigo Freelance Pattern Project 2012. This is a great opportunity to introduce your working style and design prowess to us -- many of the designers from MFPP are considered for our future books. This entry was posted on 29th June, 2010 . This entry was posted on 8th March, 2010 . Introducing the booklet 2 designed by Melissa Leapman. Backstage Elena posing for the photographer. This entry was posted on 4th June, 2008 . Sorry for not updating before, things are moving kind of slow here. The building is now in the hands of the city hall, and as there is flammable material inside we can’t start working. We were allowed in the building again today with Antonio to get a better idea of the damages and our first impression was correct. The mill is ok but everything that was in the warehouse is basically gone. We are looking for alternatives, but we can’t do anything until we are given the building back, so we are still waiting. We hope it is not a long waiting but we are in Uruguay, so the answer is always “soon”. We have to be patient. We are leaving for the TNNA show in Columbus on Wednesday. We will of course be monitoring things very closely, but for this week it seems there’s not much to do regarding rebuilding. Again, I would like to thank you all for your support; it’s great to know that we have so many people with us at this difficult time. We are sure we will thought this soon, and who knows, we may end up doing things better after all this. To those going to the TNNA show, we hope to see you there, I'll keep posting while I'm in Columbus. This entry was posted on 31st May, 2008 . I want to thank you all for your messages of support, prayers and best wishes. We finally were let into the building this afternoon. I have good news and bad news. The mill is still functional, there is very little damage, and we can start working as soon as the building is open, and after we have electricity back. We hope it will take less than a month but we don’t know as the firefighters are still working on it. After that the municipality has to inspect the building and say which areas are approved and which are to be closed. But basically is a problem of when, not how. The bad news is that the offices, the lab and the warehouse are basically ruined, we may be able to recover some yarn, but most of it (among it 500 kilos of the sock on the works) is probably gone. We will have to move the warehouse, we hope we will be able to keep dyeing in the building, but that depends on what the fire department and municipality say. We think it will take us 20 to 30 days to be dyeing again, either there or at a new location. We had insurance which will help (in part) with the recovery, but nothing can pay for the time it will take us to be back in a situation where we can ship as before. Thanks again for your prayers and best wishes, I’m in a down mood right now, just to see all that wasted yarn was heartbreaking, but I hope things will start to look much better next week.